Stay Period is from June 2, 2019. Enjoy financial flexibility with a versatile and rewarding everyday credit card. Take care of your basic needs while enjoying the privileges you deserve. Charge your groceries, gas, utilities, or installment purchases and be rewarded on everyday spend. Live a life without worries; take advantage of greater purchasing power with higher spending limits. Shop, dine, travel and enjoy more perks and rewards on all your spending. Enjoy life’s luxuries and the freedom to purchase the finest things the world has to offer using your premium card. Use your card anywhere in the world and take advantage of exciting privileges, the exclusive benefits of Dual Currency Billing, and Waived Annual Membership Fees. Discover a world of exclusive experiences. Turn moments into memories. Gain access to luxury travel benefits and privileges, and extraordinary experiences such as Destination Limo, Mastercard Epicurean Experiences, and Mastercard Airport Concierge services. Make your life easier with personalized assistance to help you with travel and entertainment arrangements anytime, anywhere. Enjoy the convenience of a separate billing for your local and international purchases. 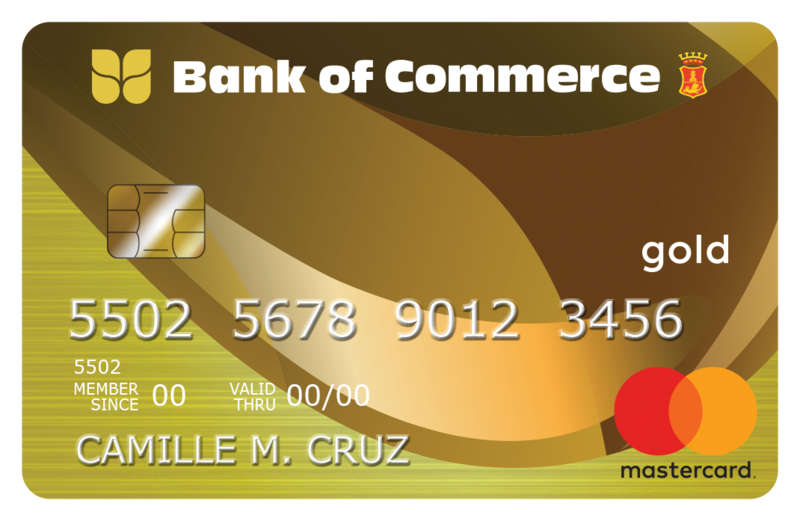 For every Php25 spent on your Bank of Commerce MasterCard Credit Card, card holders will earn one (1) Rewards point. Earn as much as 5x Rewards points when using the card at select dining and shopping establishments. Exchange points from a wide selection of rewards merchandise. Shop at selected establishments and avail of installment offers as low as 0% interest payable in 3, 6, 12, 18, 24 and 36 months. Take advantage of low monthly interest rates when you transfer your other credit card balances to your Bank of Commerce credit card. 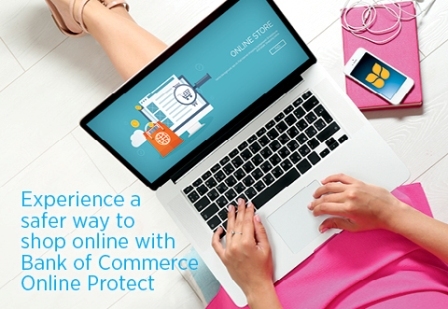 Experience a safer way to shop online with Bank of Commerce Online Protect. It’s an additional layer of security to authenticate online purchases through a One-Time Password generation. 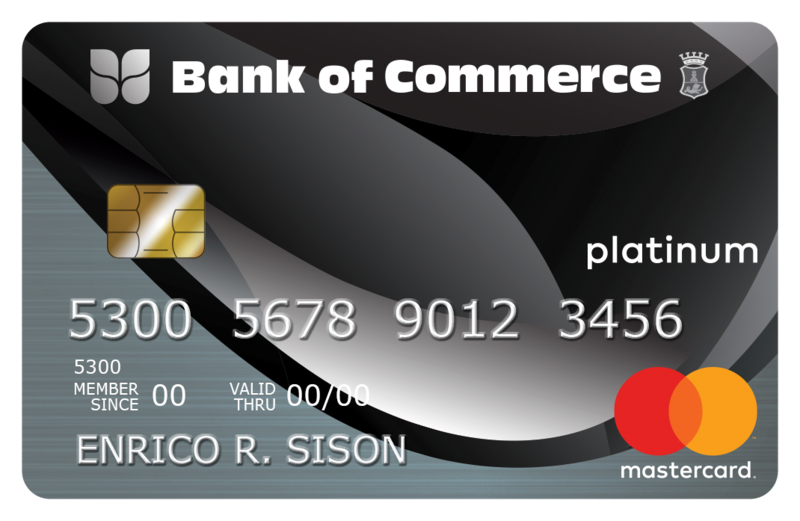 All Bank of Commerce cardholders are automatically enrolled in Bank of Commerce Online Protect. It’s an additional layer of security to authenticate online purchases. It requires you to enter a unique One-Time Password which will be sent to your active mobile number that we have on record. To guarantee receipt of your One-Time Password, please ensure to update your mobile number through our Customer Care Hotline at (02) 632 2265 or any of our Domestic Toll-free numbers: (PLDT) 1800-10-982-6000 and (Globe Lines) 1800-8-982-6000, from 7:00am –7:00pm daily or send us an email at customerservice@bankcom.com.ph. 1. What is Bank of Commerce Online Protect? Bank of Commerce Online Protect is an additional layer of security to authenticate purchases done through secure merchant websites. 2. Why is One-Time Password (OTP) necessary? The OTP protects you from online fraud as it verifies and confirms that the transaction is made by the correct Cardholder. 3. How can I avail of this facility? ALL cardholders are automatically enrolled in Bank of Commerce Online Protect. To ensure receipt of your OTP, please update your mobile number by calling our Customer Care Hotline at (02) 632 2265 or any of our Domestic Toll-free numbers: (PLDT) 1800-10-982-6000 and (Globe Lines) 1800-8-982-6000. 4. Is there a fee for the One-Time Password? Generation of One-Time Password is free of charge. However, normal charges apply on the SMS and/ or roaming facility provided by your Telco. 5.What will happen if my mobile number is not updated, will I still be able to make on-line purchases? 6. Will I still receive my OTP if I’m out of the country? Yes, as long as your mobile roaming facility is activated. 7. What will happen if I key in the wrong OTP? You are only allowed three (3) tries to enter the correct OTP. On the succeeding incorrect try, you will no longer be able to continue using your Bank of Commerce credit card. You need to call the Customer Care Hotline at (02) 632 2265 or any of our Domestic Toll-free numbers: (PLDT) 1800-10-982-6000 and (Globe Lines) 1800-8-982-6000 to reactivate your OTP. 8. Will my OTP expire if I don’t use it immediately? The OTP is valid only for 4 minutes. IMPORTANT: Sending and receipt of OTP via SMS is dependent on the connectivity and services provided by your mobile service provider and service providers engaged by Bank of Commerce. Go paperless and receive your monthly billing statement the fastest and most convenient way through your email address. All you need is an active email and you can receive your credit card E-Statement right in your inbox. All Principal and Supplementary cardholders up to 70 years old are covered for up to Php 2 million in Travel Accident, Medical Expense, and Inconvenience Benefits every time you charge your entire fare for travel (airline tickets and other means of public transport) to your Bank of Commerce Platinum credit card when you travel abroad. It provides protection up to a maximum of 15 days for international travel while taking a trip on a common carrier conveyance or scheduled flight, as a fare-paying passenger. Enjoy the convenience of two separate billing for local and international purchases. All local purchases will be billed and paid in Philippine Peso (PHP) while international purchases will be billed and paid in US Dollars (USD). Applicant must be between 21 to 65 years old for Principal Cardholder and at least 15 years old for Supplementary. Filipino resident or local resident foreigner. Minimum annual income requirement is Php120,000 for Classic MasterCard, Php455,000 for Gold MasterCard and Php1,200,000 for Platinum MasterCard. Must have an office or business landline and a residence landline or post paid mobile phone. Corporation – Latest Articles of Incorporation (AOI), By Laws (BL) and Certificate of Registration issued by SEC, Certificate of filing of AOI and BL, Board Resolution or Sec. Certificate and List of Elected Officers. Latest ITR for the last 2 years duly stamped as received by BIR or authorized bank. Latest Audited Financial Statement (AFS) for the last 2 years duly stamped as received by BIR or authorized bank. Bank Statement for the last 6 months. Interest charge is computed based on the average daily balance (ADB) computed from the transaction date for retail transactions, monthly installments, fees, credits/payments and cash advance until the next statement date. Any finance charge due but unpaid will form part of the principal balance and will continue to earn finance charge. 5% of the Total Outstanding Balance or Php500 whichever is higher (Peso billing); or 3% of the Total Outstanding Balance or USD50 whichever is higher (Dollar billing). The minimum amount due consists of the following: (a) a % of the Total Outstanding Balance inclusive of all fees and charges, (b) past due amount, (c) monthly installment amount and (d) any amount in excess of the credit limit. The minimum amount due is the sum of (a), (b), (c) & (d) or Php500/USD50, whichever is higher. Php700 or the unpaid minimum amount due, whichever is lower. Php700 or the unpaid minimum amount due, whichever is lower (Peso billing); or USD12 or the unpaid minimum amount due, whichever is lower (Dollar billing). 5% of the amount withdrawn or Php300 whichever is higher plus prevailing interest rate which will be computed from the date of transaction until full settlement of the cash advance amount. 5% of the cash advance amount or Php300 whichever is higher (Peso billing); 2% of the cash advance amount or USD2, whichever is higher (Dollar billing) plus prevailing interest rate which will be computed from the date of transaction until full settlement of the cash advance amount. No other purchases/cash advance/installment transactions made for 12 months. No other charges/fees incurred during the 12 months period. Cash advance made on the statement cycle date. Initial payment is sufficient to pay-off the Cash Advance Fee. Cardholders may pay in cash, check or by giving instructions to transfer funds from their Bank of Commerce bank account. All payment due must be received and posted on or before the Payment Due Date stated on your Statement. Check payment should be made payable to “Bank of Commerce.” Payment by check shall be considered made after the prescribed clearing period. Please allow normal banking clearing period for check payments. For check payments to be posted, funds must be cleared and available on or before the Payment Due Date. Your personal info and credit card details should remain private. Keep your credit card in a secure place to prevent unauthorized use. Reporting a lost card is important! Any transaction prior to report of a lost or stolen card will be considered valid purchases. Notify the bank for changes in your personal information such as contact details and billing address. If your credit card is a replacement, destroy your old credit card by punching holes on the magnetic stripe. Be sure to check the amount indicated on the invoice before signing. Transact only with secure internet sites that you know and trust. Beware of e-mails that offer credit card services. Most unsolicited mails could be fraudulent. Always make sure that the amount on the transaction slip is the actual amount of your purchase before you sign. Never sign a blank transaction slip. If you have any concerns or problems with a collection agent, please report it right away to your issuing bank. Make sure to take note of the name of the collection agent, the name of the collection agency and the date and time of the call. Majority of issuing banks have invested in 24×7 customer service helpdesks to assist you locally or internationally. Always call them for any credit card concerns. They appreciate your feedback in order to serve you better. Their hotline numbers are normally indicated at the back of your credit card. Issuance of pre-approved credit cards is not allowed per BSP Circular Nos. 702 & 845. DTI’s Department Administrative Order Number 10 Series of 2006 prohibits any surcharge, extra charge or additional charge over and above the price tag on items purchased using credit cards for payment. Credit card price is the same as the cash price. You should report establishments that have different cash and credit card prices. To report, call DTI Direct at 751-3330. For your security, immediately sign at the back of your credit card upon receipt. bank’s customer hotline number usually indicated at the back of your credit card. 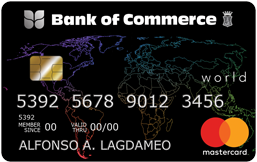 issuing bank on the number at the back of your credit card for verification. Before traveling abroad, advise your issuing bank so your credit card transactions can be safely monitored. Keep a record of your credit card numbers, expiration date and contact numbers of your issuing bank for emergency cases such as the loss of your card. Do not freely divulge your credit card details such as card number or expiry date to any person or means without verifying the legitimacy of the person or manner. Do not fall victim to phishing websites or emails or prank calls asking for your credit card details. Be smart in determining the need to divulge these information and the manner it will be done. Charge to your credit card only what you can afford and pay. Maintain your credit card in good standing by paying the total outstanding balance or at least the minimum amount due on or before your due date to enjoy your credit card’s full benefits. Maintain your credit card in good standing by paying the total outstanding balance or at least the minimum amount due on or before due date to enjoy your credit card’s full benefits. Always pay your bills on time to avoid penalties. Remember, you will not be charged of any interest if you settle your balance in full on or before your due date. Finance charges will only be imposed when balances are not settled in full on due dates. Always check your statement of account for payment details. When paying by cheque or through any ATMs, please pay at least 3 days before your payment due date to allow for a 3-day clearing or payment transfer. Keep your credit card in a secure place. Personally hand over your credit card to the cashier when paying. Be alert when your card is not returned to you after an unusually long period. To ensure that you are not logged on to a spoofed website, check that the URL address starts with “https”. Moreover, there should be a padlock icon located at the lower right portion of the webpage to indicate that it is a secured website. Inform card issuers of your plan to travel as well as your itinerary. Be extra vigilant when it comes to card security. Unscrupulous persons can easily take advantage of unsuspecting travelers with skimming devices, unsecured public Wi-Fi hotspots, and the like. Pack extra plastic. Bringing other cards serve as spare tires you can use in case one card suffers a hitch. Inquire from card issuers about foreign transactions fees. Some credit cards charge such fees for purchases abroad. Take note of rewards programs. It is common for card issuers to grant incentives to their clients for accumulated usage. These may include travel-related benefits or perks such as room discounts, free breakfast, gift certificates, or travel certificates. Credit cards may offer travelers medical insurance for free or at lower rates. Check cards’ credit limits beforehand. This will spare you a headache from finding out otherwise in the middle of the trip or a transaction. Monitor your credit card even after a trip. Put your credit card’s toll-free numbers on speed dial. Stay within budget and keep tabs of charge records. Setting a budget will allow you to manage your payments efficiently and avoid penalties. Remember, always check the e-mail address of the sender and make sure that it is from a CCAP member bank or CCAP. Example: name@bankname.com. When in doubt, call your Bank’s customer service hotline.